CNAME stands for 'canonical name' and is a redirection to the zone file of the entered target domain. Now you'll want to add a CNAME record. Make your CNAME record for and have it point to "wishpond.com". Now you just need to wait a bit. This can take anywhere from a few minutes to a few hours depending on your host. You'll know your domain is working when you see a green checkmark next to its name. 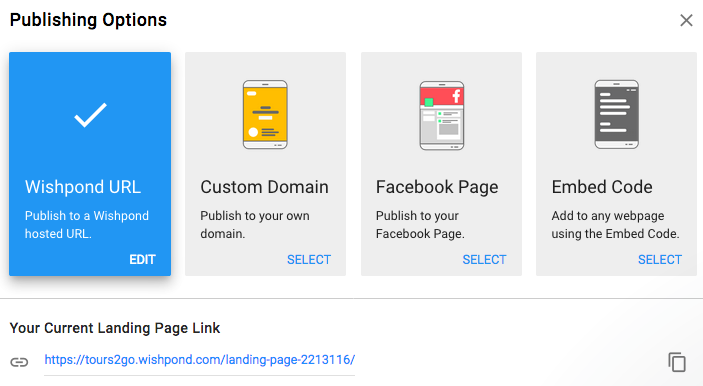 Once you follow those steps your domain name for your campaign will be your own custom one without "Wishpond" in the URL. 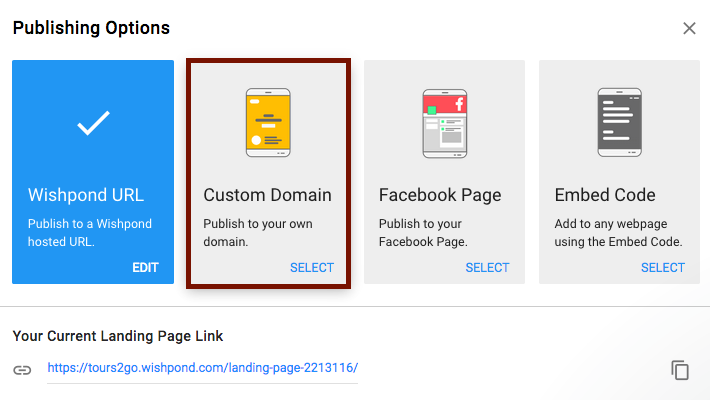 *If you don't mind having wishpond.com in the url but want to put your own subdomain, choose "Custom Wishpond Subdomain"